The Next Stage: Women and Retirement: Sexual harassment: We’ve won a battle, but the war's still going on. Sexual harassment: We’ve won a battle, but the war's still going on. An independent investigation has found Mr. Fenerty guilty of sexually harassing an employee over the course of two years during work hours and work-related events. Sexual harassment is never acceptable, but Mr. Fenerty felt entitled to engage "in a series of unwanted and repeatedly discouraged sexual advances" including, but not limited to "inappropriate touching and other untoward, unprofessional conduct" while conducting business for a state-run agency. This is a clear abuse of not only power, but of the tax system that citizens of the city Philadelphia pay into regularly. 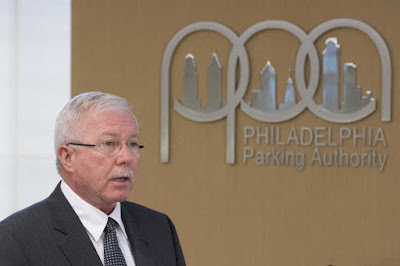 By allowing Mr. Fenerty to maintain his current role, the PPA Board is implying that certain individuals in positions of power are above reproach for reprehensible behavior and that sexual harassment of women in the workplace is not a grave enough infraction for dismissal. Although his friends may refer to such sexual misconduct as "a high school puppy love situation," it is sexual harassment by definition: the making of unwanted sexual advances or obscene remarks. Mr. Fenerty, you must step down from your position as Executive Director. No number of years of "exemplary service" makes you exempt from accepting the consequences of sexually harassing employees in the workplace. Public pressure from NOW, the Mayor's Commission for Women and other organizations forced PPA to reverse course and dismiss Fenerty. But the dismissal does not resolve the underlying problem. We learned that unlike our city, which has a zero tolerance policy for sexual harassment, PPA has failed to develop adequate policies to deal with sexual harassment. Furthermore, Philadelphia NOW is concerned that our severely underfunded public schools are not getting the monies owed to them by PPA. The last audit of PPA was in 2009. Philadelphia NOW supports the resolution of Councilwoman Helen Gym calling for a long-overdue full audit of PPA. Unfortunately, Philadelphia City Council did not support the resolution; we are now considering what steps we can take to keep the pressure on PPA.